alteregomc.com now offers Coachbuilders and New Automobile Manufacturers outside of the United States of America or its Holdings or Territories, the opportunity for membership in COACHBUILDERS INTERNATIONAL in one of several categories, based on the level of expertise chosen from among our classifications when application for membership is made. We are establishing the credibility of the vocation, the industry, and, the people and shops involved in Coachbuilding or New Automobile Production. Integrity is the name of the game from start to finish. A one year membership is at a varying cost depending upon the SKILL Classification you are qualified for. You may apply either an individual Builder, or, a Business. So long as our criteria is met for application, a person may list both his or her professional listing, as well as the listing of their business, and each are at a separate cost per year according to the SKILL Classification. Annual Membership comes due on the anniversary date of when the membership was first accepted and the listing placed on the appropriate Coachbuilder's Page on alteregomc.com. Members who join from now through the end of April 2020 will be considered Charter Members, and, as such, no cost increases - should they occur over time, will ever be charged to Charter Members - so long as they continue their membership each year. Continuous membership for Charter Coachbuilder Members in any category, will be the same as they paid when joining. For the annual fee each member is asked to write a narrative of fifty words or less about themselves or their business which we will post as a reference for those looking for a Coachbuilder outside of the USA. Contact information is not counted towards the narrative of fifty words. With very differing ideas of quality in contemporary trends in automobile "restoration" as well as the confusing, conflicting, and sometimes, totally random definitions and meanings of "Restoration" and "Coachbuilding," we have taken the liberty of refining the industry terminology, and, taken the responsibility of Leadership in the as-of-yet-to-be-after-all-these-decades Professional Network and Informational Indexes imperative for this Vocation of Coachbuilding and New Automobile Production. We are in the hope that our terminology is picked up throughout the Coachbuilding world, so that all confusion and misunderstanding with terms and titles can be replaced with clear and meaningful terms that are useful to everyone. 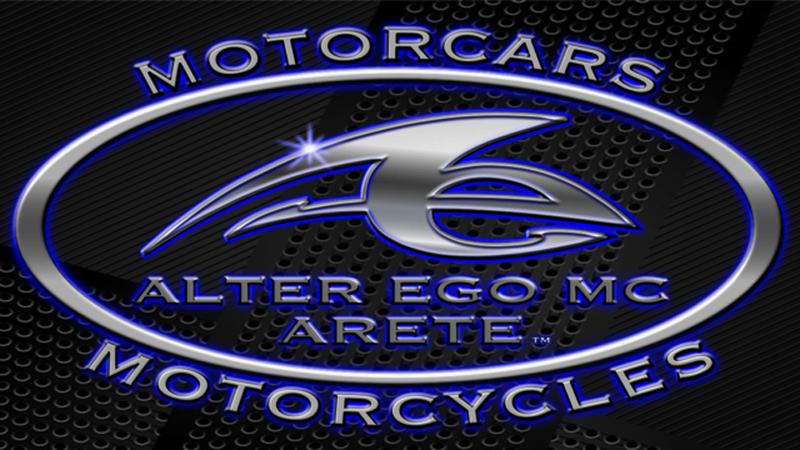 If you are involved with a club or organization in the automotive field, we ask you to present our terms to your membership for a vote on accepting the terminologies we've defined and refined here on all of the Coachbuilder related Pages on alteregomc.com. We're introducing a "new" word to the world of Coachbuilding, and, we have coined this word "Arete" for our use in the new organization of Coachbuilding here on alteregomc.com. "Arete" is a spectacular Greek word which means - the highest level of excellence - in all things. Previously, all Coachbuilders - mostly called "Builders" for short (for interested readers new to all of this) didn't really have a title which revealed their level of skill. Until now, everyone has just been called "A Builder". We felt it was high time Builders had the respect they deserve along with having meaningful titles they have each earned. We love the word "Arete" for its deep Philosophical meaning. Once you grasp that Arete goes beyond its definition of "the best of the best' in everything, you will also understand that it means reaching the highest potential. Once you've met Arete, you never forget Arete. We also feel strongly that, while beauty is in the eye of the beholder, the new trend of putting rusty cars on the road and calling them a restored car does a great disservice to Coachbuilding. If you're reading this and you are a fan of what we term, "rusty rollers" we think you have the right to like that, but, know that rust is an unrelenting arch enemy to automobiles, and, we think such a vehicle left in that state of poor health - is just a crying shame - because its death warrant has been signed. Without appropriate intervention to save a rusty vehicle - it's a goner. We had to give such vehicles a new terminology - "rusty ROLLERS" - because, some folks believe these vehicles are "restored" even if they don't run, for heavens sake! The only way to move them IS to roll them.. So as we'll give you the respect of your opinion and choice of what to do with your vehicles, so, we ask the same - the respect of having a different opinion, and, your respect for us choosing what we believe is proper in categorizing and classifying who and what should be allowed into membership in this Coachbuilders Organization. We also like to believe that we'll warm your hearts, rusty roller folks, and that you will change your thinking about saving that old wonderful vehicle in question. We are in the hope that this contemporary trend of rusty roller cars goes the way of the Nehru Jacket. You don't know what a Nehru Jacket was? You didn't miss much. CHOOSE ONLY ONE AND MAKE YOUR APPLICATION BY USING THE PAY BUTTON UNDERNEATH THE CLASSIFICATION WHICH DESCRIBES YOUR EXPERTISE. You may apply both individually and as the owner of the shop under your classification, but, they are two separate applications, and, each membership is priced according to the SKILL LEVEL and is for a one year membership. We literally scanned vocabulary everywhere to find the perfect word for the very ultimate level of Coachbuilding Skills, and, we were beside ourselves with joy at finding, "Arete". Arete goes beyond the definition of excellence in all things as it is a word that really can't be described or defined due to its philosophical component, that, the excellence is so high, it can't be described in words but once a person becomes acquainted with the term, they just KNOW what it means in a deep mind and soul sort of way. So now we've introduced you to the word that we choose to describe the Ultimate Expert in the field of Coachbuilding. We honor the salted and seasoned hands of these Arete Coachbuilders who have attained experience that few have, and, who have stayed the course in their vocation for many decades, with perfection as their goal. We reserve the right to refuse service to anyone, and, if a member of any of our Coachbuilding "Societies" is found to have been fraudulent in their narrative in their listing on the Coachbuilder Network, we will refund the unused portion of the membership fee, if any, and ban that person or that business from membership. It would be very regret-able, and we hope that is never necessary. This is in an effort to protect the integrity of Coachbuilders, to separate these experts in their field, and, banner them. We honor the salted and seasoned hands of our Builders across our big blue planet, and, we also honor the endeavors of the people and their businesses who want to both utilize their skill set, and, offer them parts, products, and services, as they tenderly breathe new life into the automobiles which have played an important part of each of our individual and collective histories, no matter where in the world we call, "home".